How can you not LOVE this boy? He is the sweetest thing. Our family has been battling being sick for a month now. Last week, Cami was hit pretty hard by a cold. All she wanted to do was lay on the couch. 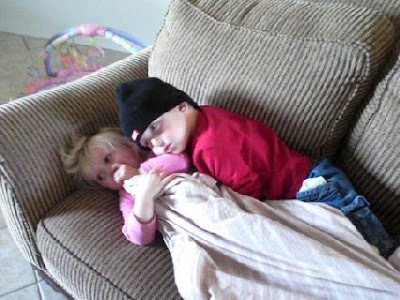 Grant informed me that he was her big brother, and he needed to take care of her. I LOVE that he is so awesome with his sisters, and that he treats them well.